"One of the most important things when integrating new technologies is to listen to the farmers and understand their needs." Ron Burleson loves his job. "You gotta like what you do. You ain't gonna get rich," said Burleson, a beef and landscape flower farmer from Unionville, Virginia. "You gotta really enjoy it and not mind working hard." A 1981 graduate in animal science, Burleson and his wife, Sue, who graduated in 1981 in agricultural and applied economics, have had to work even harder lately, he said. Five years ago, Burleson suffered a stroke that severely limited his mobility. He has found ways around these restrictions with the help of technology like his Trackchair, an all-terrain wheelchair that helps him navigate his field and greenhouse. 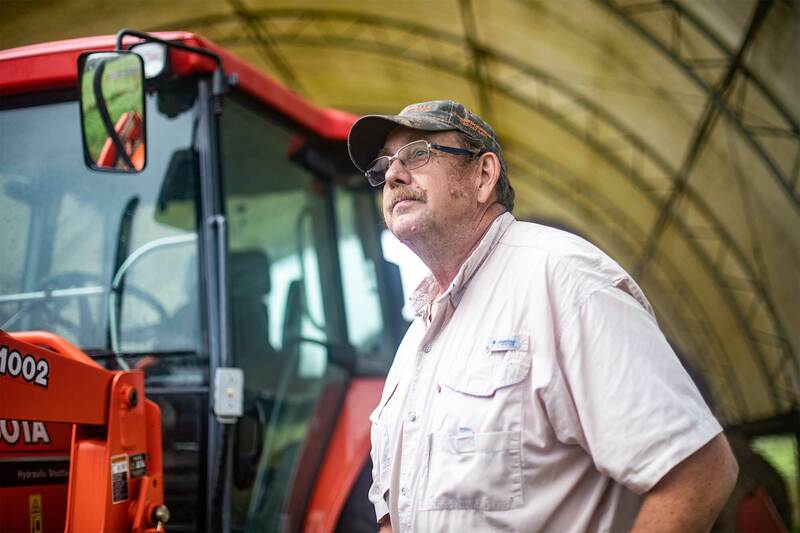 Through a national USDA program, AgrAbility, he was even connected directly to an engineer who custom-designed a lift to get the 6-foot-5-inch farmer in and out of his tractor safely. 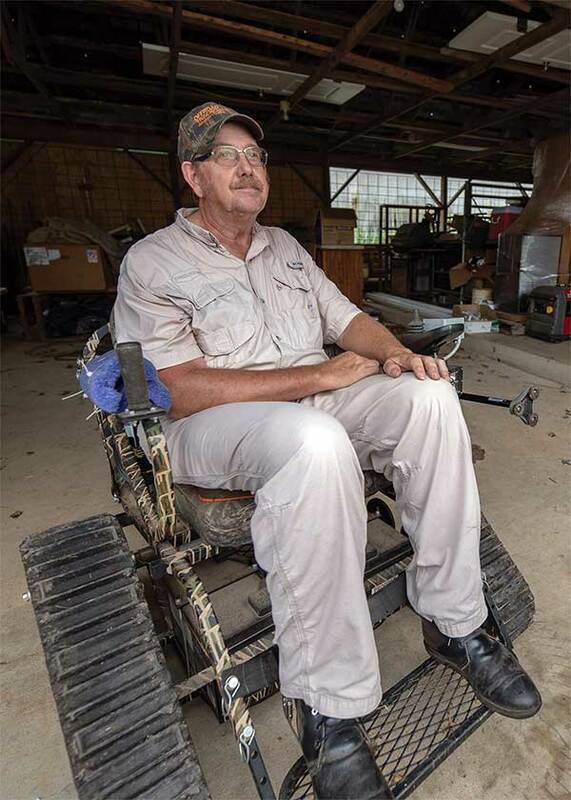 Ron Burleson '81 is able to continue farming with the help of his all-terrain wheelchair, developed through the AgrAbility program. AgrAbility connects farmers in need of assistance with appropriate resources, such as physical therapists and university researchers. 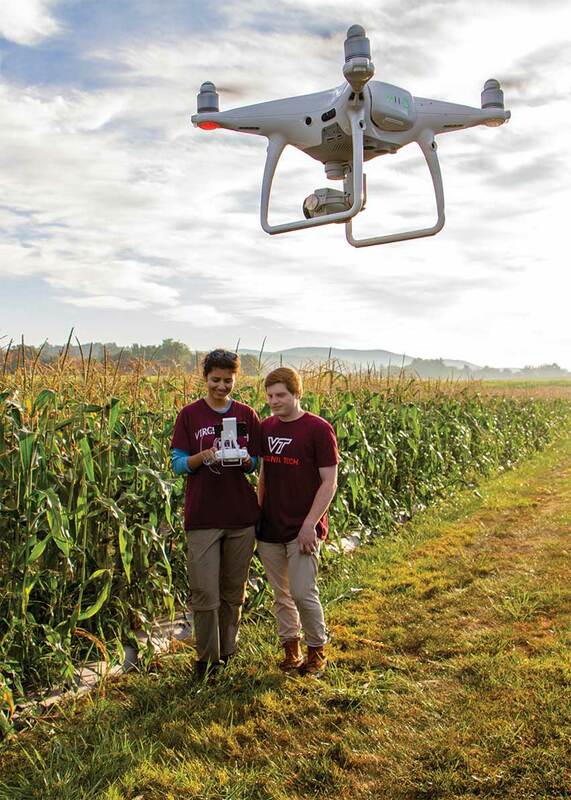 In Virginia, a National Science Foundation grant funds the Partnership for Innovation, a collaborative effort among the AgrAbility Virginia Program, the Blacksburg company TORC Robotics, and Virginia Tech faculty in the College of Agriculture and Life Sciences and the College of Engineering. The partnership has one goal: To design assistive technology for 12 volunteer farmers with disabilities throughout the state — and to do so across disciplines. Both colleges are working on myriad ways to advance technology in agriculture. CALS is launching a new SmartFarm Innovation Network that will use technology such as drones, biodesign, cloud computing, and big data to help produce food for a growing global population (see "Building the farm of tomorrow — today" below). At the same time, the College of Engineering is developing new technologies to tackle the problem. The AgrAbility project is just one example of how the two colleges are working together to solve challenges facing the agriculture industry. AgrAbility Virginiaâs director, Kim Niewolny, a co-principal investigator of the NSF grant and a CALS associate professor in the Department of Agricultural, Leadership, and Community Education, researches the role of participatory and cultural community development for farmworker care and dignity. She said technology plays a vital role in the future, as long as context and personal experience are factored into decisions. "One of the most important things when integrating new technologies is to listen to the farmers and understand their needs so that we create meaningful opportunities that seamlessly support their quality of life," Niewolny said. Not surprisingly, Niewolny's sentiment speaks to a great number of U.S. farmers. Throughout the country, an aging demographic of small- to midsize-farm owners and workers is responsible for a sizeable portion of the country's agricultural activity. According to U.S. Department of Agriculture data, nearly 96 percent of farms in the U.S. fall into this category, which accounts for just over 45 percent of agricultural production output. On top of an already tough economic climate, farmers themselves are aging, with the average producer at 58.3 years old, a figure that has risen every census based on a 30-year trend. The most-recent USDA data available show that more than one third of principal farm operators are at least 65 years old. With Virginia Tech's help, new assistive technologies and life-changing innovations could help Burleson and others continue to do what they love for years to come. Imagine a farm 20 years from now. Drones fly overhead monitoring the nitrogen content of the crops below while tractors piloted by onboard robots harvest crops at peak production. Livestock sensors integrated with cloud computing allow producers to make decisions based on big data. The farmer's most powerful tool is not a tractor, but an iPad. This technology is designed to increase productivity, to produce higher yields, and to spark a new agricultural and natural resources economy. But Virginia Tech isnât waiting decades to see it unfold. This year, CALS launched the SmartFarm Innovation Network, a collection of interconnected centers across the commonwealth where Virginia Techâs interdisciplinary researchers and Virginia Cooperative Extension specialists can partner with industry to develop and deploy innovative technologies. 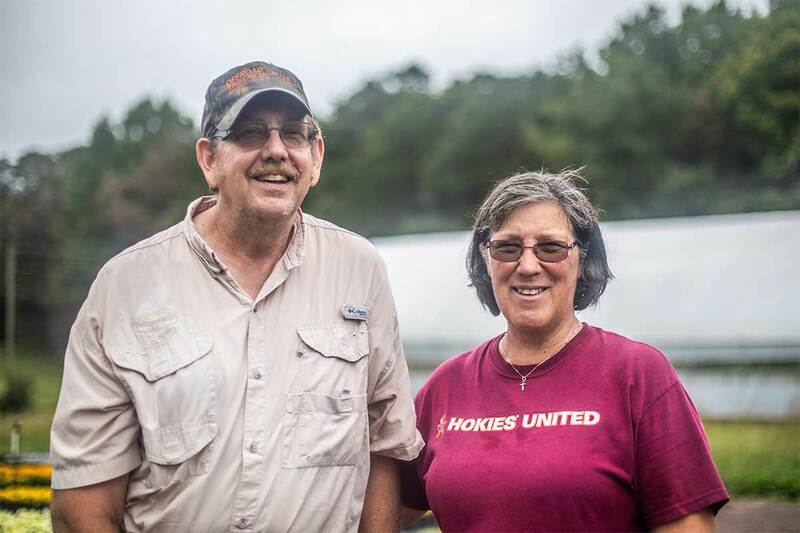 An outgrowth of the Virginia Agriculture and Natural Resources Initiative, the SmartFarm Innovation Network features multiple interconnected locations, including the Blacksburg campus, along with 11 Agricultural Research and Extension Centers and 108 VCE offices located around the state. The network will serve as a portal to Virginia Tech expertise and a platform for innovation and collaboration.